Wash and dry beets well (do not peel). Season with salt and olive oil. Line a sheet pan with parchment paper. 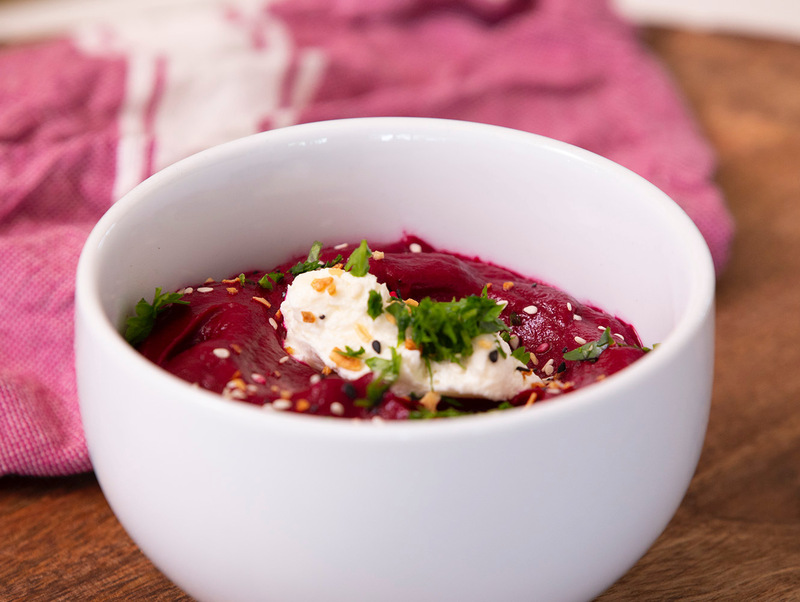 Arrange beets in pan in a single layer and roast for 45 minutes to 1 hour; until fork tender. Allow beets to cool; enough to be able to peel skin off with your hands. 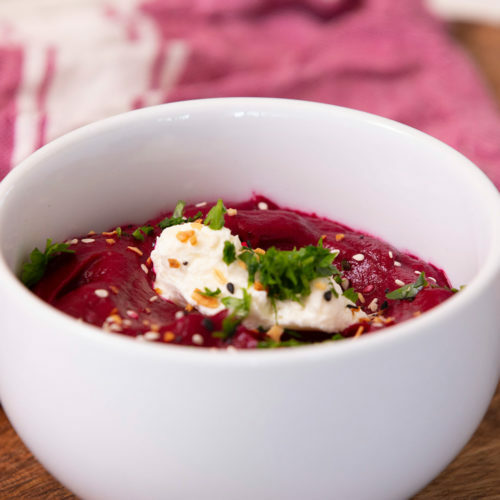 Place peeled beets, roasted garlic, greek yogurt, lemon juice and salt + pepper into a high-speed blender or food processor; puree until well combined. Slowly pour in olive oil. Taste and adjust yogurt, lemon juice and/or salt, pepper, if needed. Transfer to serving bowl. Place softened goat cheese, olive oil and salt in small bowl. Combine until well mixed. Garnish Dip with a spoonful of the goat cheese mixture, fresh cilantro and za’atar. Enjoy with crackers, crusty bread, pita chips or veggies!